MOORESVILLE, N.C. – Tommy Baldwin Racing confirmed Tuesday that the team will carry sponsorship from Accell Construction on the No. 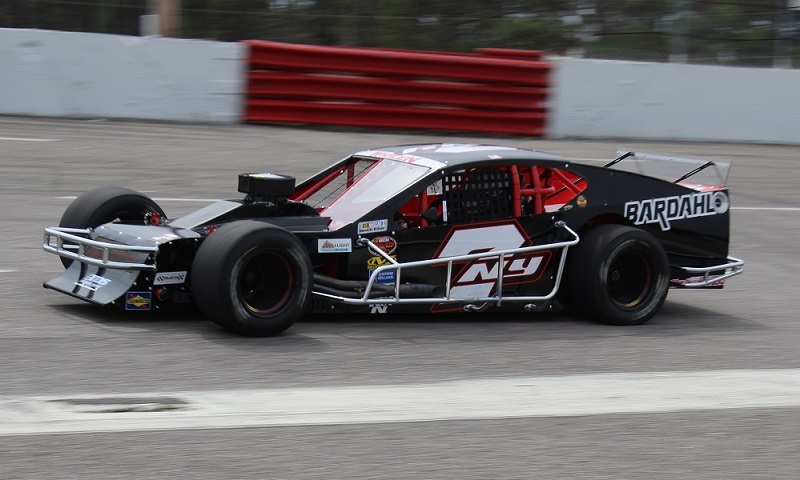 7NY tour-type modified during the 2018 season, beginning with the World Series of Asphalt Stock Car Racing at Florida’s New Smyrna Speedway. Multi-time Valenti Modified Racing Series champion and reigning ISMA Supermodified Tour champion Jon McKennedy will pilot the No. 7NY Accell Construction Chevrolet for Baldwin, starting with the World Series opener on Feb. 12 and continuing through multiple NASCAR Whelen Modified Tour events throughout the season. The 2018 Tommy Baldwin Racing scheme. Oklahoma-based Accell Construction operates a full service site civil contractor for the petroleum terminal and bulk storage industries. Accell has been a partner with Tommy Baldwin Racing since the inception of TBR in 2012. In addition to the World Series races at New Smyrna Speedway, the No. 7NY Accell Construction Chevrolet will also compete at NASCAR modified events at Myrtle Beach Speedway, Thompson Speedway Motorsports Park, Stafford Motor Speedway, New Hampshire Motor Speedway and Oswego Speedway. McKennedy told Race Chaser Online on Jan. 23 that his goal is to compete full-time on the NASCAR Whelen Modified Tour this season, but that several pieces still needed to fall into place before that scenario would be a reality. Tommy Baldwin Racing and Race Chaser Online New England editor Kyle Souza contributed material to this report.